The DoJ flip-flop on the Wire Act may not do much for Federally-regulated online poker in 2012, but could be a boon for Nevada brick-and-mortars. But the last two work days before Christmas, a few unexpected presents were given to the industry. 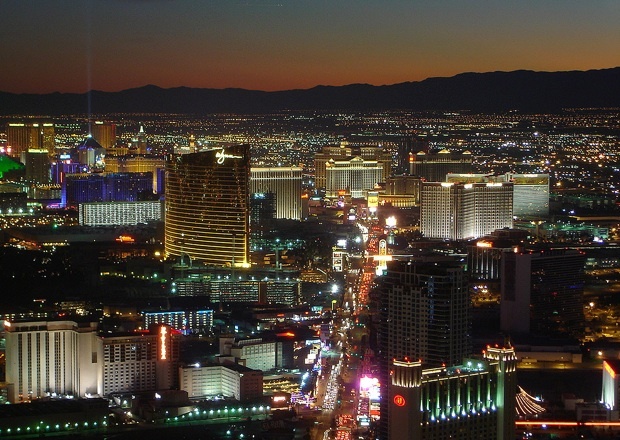 First, Nevada set itself up to launch intrastate poker in 2012. Then, the Department of Justice dropped a letter saying that the 1961 Wire Act only applies to sports betting, meaning activities like online poker or state lotteries would essentially be exempt. We spoke with a number of connected industry insiders for their perspective on how the DoJ letter will impact the online poker world in 2012. The prevailing consensus: it won’t much at the Federal level, but it’s go time for intrastate online poker. Clearly, the DoJ letter is great news. But for the chances of online poker regulation at the Federal level, it shouldn’t have much of a direct or immediate impact. It’s not going to push any legislation faster through Congress. As we’ve stated, and many people we spoke with agree, an online poker bill probably won’t work its way through Congress to law via the tradition route (House subcommittee -> House committee -> House general -> Senate and -> to the President’s desk. More likely (like the UIGEA), it gets tacked onto an omnibus bill during the lame duck session, hopefully after the 2012 mid-terms/Presidential election. So let’s eliminate any DoJ flip-flop affecting online poker (immediately) at the Federal level. That leaves the immediate fate of online poker legislation with the States. At the local level, the December 23rd DoJ letter eliminates some legality gray area for states. Nevada has already positioned itself for intrastate poker, and now New Jersey, with Atlantic City as its gambling Mecca, quickly moved into action, hoping to pass legislation through as soon as next week. Expect other states, like California or even Iowa, to follow. The memorandum opinion released by the US Department of Justice on December 23rd is big news. It essentially signals that the Department of Justice going forward will confine its prosecutions under the Wire Act to bets on sporting events and sporting contests. This is a major shift. What this means for Internet poker isn’t entirely clear yet. Poker is not mentioned in the opinion, but it’s hard to see how the same analysis of the Wire Act wouldn’t apply to a purely intrastate, regulated Internet poker offering. Because of the potential impact on their gaming licenses of making a mis-step, casino operators need all of their ducks in a row. The DoJ letter is one of the last ducks to line up for intrastate poker. [Traditional Brick & Mortars] are going to have problems because when the states legalize, their natural inclination is to give it to the locals…If you’re a Nevada casino operator, you don’t want to be competing in more than 50 separate jurisdictions against connected, politically powerful operators. …there may be nothing preventing states from making compacts with other states, and even foreign nations, once they have legalized an online game, like poker. If Nevada and the District of Columbia want to take Internet poker players from each other, what federal law would they be violating? And, if they agreed that their residents could bet with licensed poker operators in, say, Antigua and England, while residents of those nations could bet with poker operators in Nevada and Washington, we know they would not be violating the Wire Act, or the anti-lottery laws, or any of the federal prohibitions which require that the gambling be illegal under a state’s laws. I think the opinion was important, correct, and long overdue. However, there are still a million miles to go. It still remains to be seen how the states handle joined liquidity and more importantly international liquidity. Absent communication and a consistent approach by states on this issue, we actually may have been in better shape before this opinion than we are now. Inconsistency could equal chaos. …some messy and complicated maneuvering to connect the opt-in states and potential foreign players to increase liquidity. The last point is crucial. While Nevada or New Jersey setting up regulations and actually overseeing online poker operations at the state-level is a long-term must if they want to position their respective states to be “the” governing body once Federal laws are enacted, in the short-term, neither state will see much in the way of revenue unless they can increase their liquidity base. And ultimately, the more messy things get between the states, the more likely we believe the Federal government will be forced (likely from gaming lobbyists and the actual brick & mortar donors like Caesars Entertainment and MGM) to step in and set up regulations for online poker. One way or another, strap yourselves in for an interesting 2012.